Hello I am Claudio, the owner of Bed and Breakfast alla Vucciria. 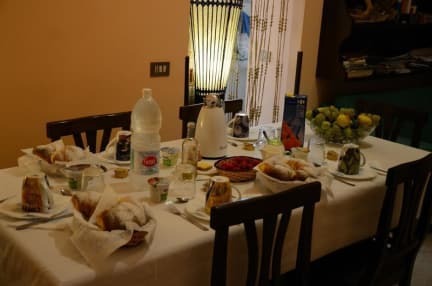 I am happy to host you in my B&B, where I also live, close to my guests. 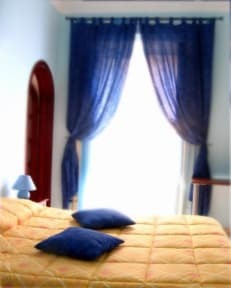 Alla Vucciria is the right place for you if you would like to get to know the real Palermo and live for some days in one of the typical narrow streets in the heart of the historical centre. In a radius of 1 km you can visit 80% of the most important sights on foot, and we will give you all the information you need. Our rooms Azzurra, Romeo & Giulietta and Pesca all have a private bathroom inside; the single room has got a shower inside and shares a nice bathroom with the owner. The whole apartment is air-conditioned, and three rooms have balconies overlooking the street; the single room faces a terrace inside the apartment bloc. A garage is available at 300m from the apartment for cars and motorcycles (10 Euro/24h). If you would like to get to know better the historical centre, you can go on a tour with me, Claudio, during the night. We will eat some local specialities and walk around, and I will show you some hidden gems of Palermo. The tour is organized by appointment and its for free! You will only pay food and drinks. Every booking can be cancelled in any moment. If you cancel the booking 24h before your scheduled arrival, no fees will be charged. Due to all rooms are located on the second floor this property is not suitable for people with walking disabilities. Please, it's very important to inform me if your estimated arrival time to the B&B changes. Please send me an sms (text message). If you arrive on time, I can devote more time to you! Très bon séjour. Tout s’est très bien passé. Claudio est un hôte très professionnel. L’accueil est très chaleureux, la chambre et les toilettes sont très propres. La literie est confortable. Le bâtiment est plein de charme, on se sent comme à la maison. Très bon petit déjeuner. On est en pleine immersion dans un quartier typique palermitain, à une rue de la Vucciria: le cœur de Palerme! Claudio est une belle rencontre. Je conseille vivement le B&B Alla Vucciria!